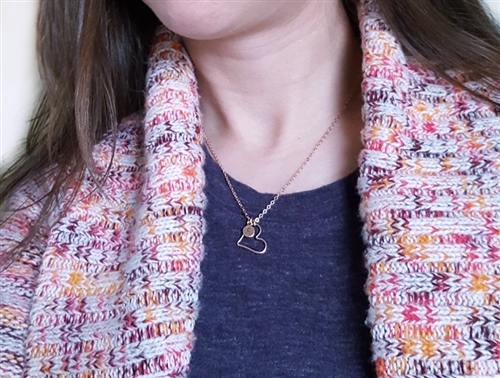 design makes a sweet gift for someone special. Production Time: Ships in 2-3 business days. 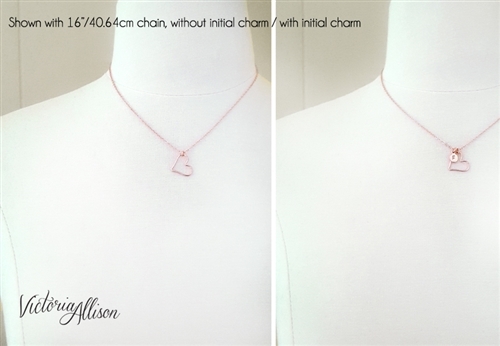 The heart pendant measures approximately 5/8-inch (1.59cm) at the widest point, and is made of 14k gold-filled wire. 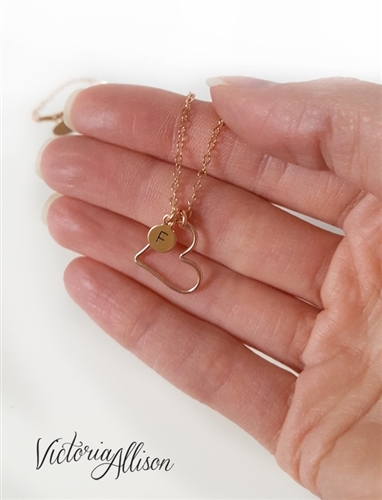 You may also add a tiny hand-stamped rose gold-filled charm to the chain if you wish, in your choice of initial, for an additional $4. Please select your choice during checkout. 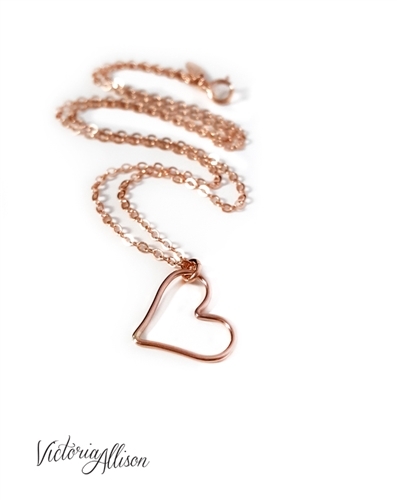 The rose gold-filled chain is available from 16-inches/40.6cm to 20-inches/50.8cm. It is shown on the dress form (4th photo) at the 16-inch length. Gold-filled metals are of higher quality than gold plated metals, and may be cleaned with a soft cloth.